Prior to joining Thayer County Health Services in January 2017 as CEO, David served as the Vice President of Finance at the Nebraska Hospital Association (NHA) for 12 years. His responsibilities included oversight of the financial management of the NHA and subsidiaries, advocating on behalf of NHA member hospitals, primarily on federal issues, communicating with Nebraska’s Congressional delegation and analyzing federal legislation and regulations. 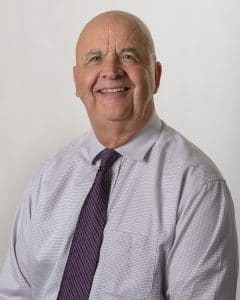 David has worked in the health care industry for over 25 years and has served in leadership roles for much of his career in both rural and urban settings. David graduated from Bellevue University with a Master in Healthcare Administration (MHA) degree in August 2016. He has also received a Bachelor of Science degree in Business Administration from the University of Nebraska – Lincoln. He has been an active member in HFMA since 1997, becoming certified in 2006 and a Fellow in 2010. Stephanie oversees Laboratory, Pharmacy, Radiology, Rehab, and the Fitness and Wellness Center. Stephanie serves as the Executive Sponsor for Performance Improvement and Safety. Additionally, she is TCHS’s Compliance Officer and serves as the Executive Sponsor for the Committee. Stephanie oversees day to day operations to ensure TCHS is effectively and efficiently meeting the needs of the community we serve. Stephanie received her Associate Degree and Physical Therapist Assistant education from Colby Community College. She continued her education at Bellevue University and earned a Bachelor Degree in Healthcare Management. 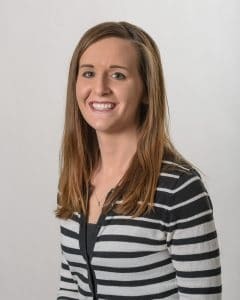 After working as a PTA and Rehab Director for 11 years she returned to Bellevue University and received her Master Degree in Business Administration with a focus on healthcare. She began her career at TCHS as the Vice President of Clinic Services and in 2017 transitioned to her position as Chief Operating Officer. Since 2015, Jamie oversees the hospital nursing department as Chief Nursing Officer. 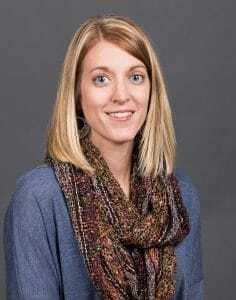 Jamie received her Bachelor of Science in Nursing from Midland Lutheran College in 2002 and began her nursing career at Children’s Hospital and Medical Center in Omaha, NE working in the Newborn Intensive Care Unit. Jamie also worked at St. Elizabeth Regional Medical Center in Lincoln, NE in the Adult Critical Care Unit. Jamie also has experience in outpatient endoscopy and outpatient surgery. Jamie began her career at TCHS as a night shift nurse in the hospital nursing department in 2007 and learned many new things in the Emergency Room and Labor and Delivery Rooms. Doug has served as the Chief Financial Officer since 2016. He is responsible for the Accounting, Facilities, Materials Management, and Nutritional Services departments as well as the Revenue Cycle. 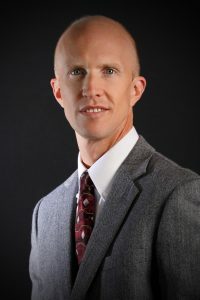 Prior to joining TCHS, Doug provided interim CFO services for hospitals in both Iowa and Missouri, was the Revenue Cycle Director for Nebraska Heart Hospital/NHI in Lincoln, NE, served as CFO at Faith Regional Health Services in Norfolk, NE and at St. Elizabeth Regional Medical Center in Lincoln, NE. 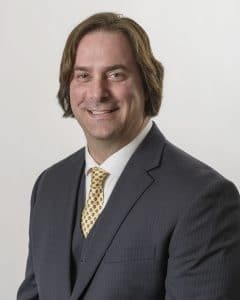 Prior to entering healthcare finance, Doug was involved in construction and manufacturing finance after having been a CPA with KPMG in Lincoln, NE. Doug graduated from the University of Nebraska. He is a Fellow in HFMA and served as the Nebraska Chapter President from 2012-2013. Administration program at Missouri State University. Shawn is also certified in LEAN Six Sigma.